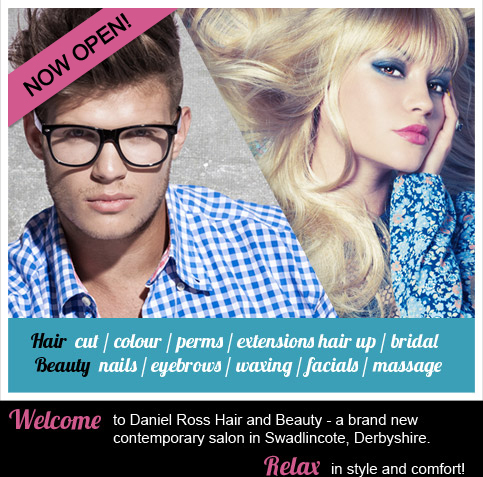 to Daniel Ross Hair and Beauty - a brand new contemporary salon in Swadlincote, Derbyshire. Members receive 10% off all treatments! Visit the website to become a member.